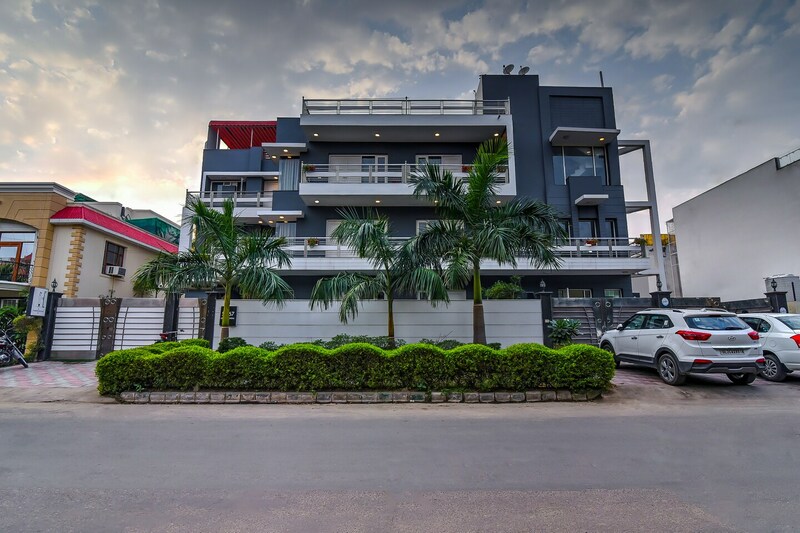 Townhouse 003 is a fantastic property located near Sohna Road in Gurgaon. The property is tastefully designed, with modern amenities. The interiors are bright and cheerful, with wooden flooring in each room. The rooms have an AC, TV, geyser, room heater and hairdryer. The rooms have artwork on the walls, a wooden cupboard and an attached bathroom. The hotel offers complimentary breakfast and free Wi-Fi. The townhouse is surrounded by some fantastic eateries. The property itself has a Beautiful backyard dining area. The property has an elevator and round the clock security.